A clearer understanding of the concept of region and how this concept is articulated in West Africa. An appreciation for the importance of history, environment, and social factors in constructing the region of West Africa. 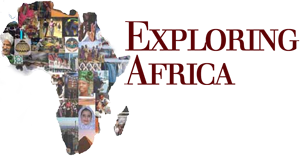 The ability to assess the factors that have led to change within the West African region. The ability to think more critically about social and environmental processes as manifested within a geo-political region-West Africa. How do we understand West Africa as a distinct region of Africa and the world? How is West Africa connected to the rest of the world? What kind of diversity can be found within the region called West Africa? What are the topography, climate, rainfall, and vegetation like in West Africa? How do these geographical features affect human patterns of settlement? How do people in West Africa interact with their environments (i.e. agricultural production, pastoralism, environmental concerns)? What have the impacts of colonization and globalization been on West Africa? What do politics and the economy look like in West Africa today? What are some of the current events occurring in West Africa today? The purpose of Module Seventeen is to introduce students to the region of West Africa. As explained in the Introduction to Module Twenty: Southern Africa, regional groupings and divisions are constructed categories to help geographers and other scholars categorize the world. The boundaries that divide these regions are not firm and fixed. In fact, they often blur together, shift according to one’s point of view, and change over time. The region of West Africa will be discussed here as a grouping of countries made by geographers based on some common geographical, cultural, economic, and political features. Yet it is a region that also contains much diversity within its boundaries and many connections to regions outside of West Africa. This module will begin by discussing these issues in general in Activity One: What is West Africa? Next the module will continue by examining in more depth the diversity of geography, culture, society, politics, and economics in West Africa in Activity Two: Geography of West Africa and Activity Three: Culture, Society, and Production in West Africa. These activities will give students a sense of the lives and histories experienced by people of West Africa. It will end by tying what they have learned to current events in West Africa today in Activity Four: Current Events in West Africa, many of which they can read about in newspapers and on-line.